Our Cee seat/post combo is a light weight & cost effective alternative to the Pivotal system seats available. It costs less than a seat alone & weighs less as well. Click here to check out with more detail. Available everywhere right now. 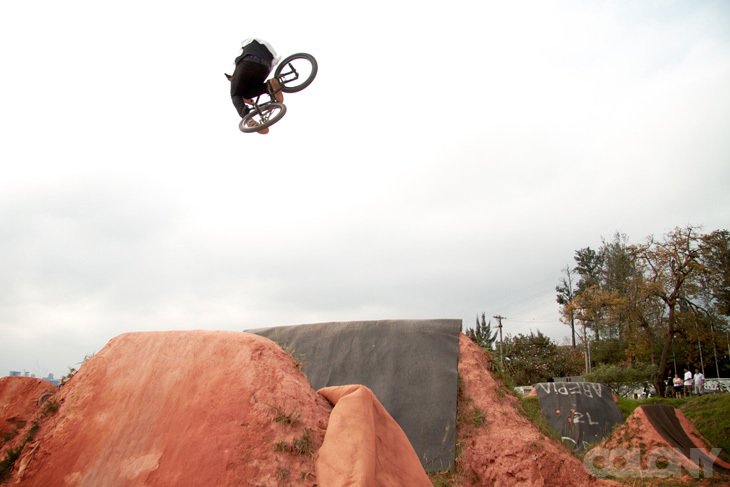 Cooper & Marnold have arrived in Sydney for a weekend of riding & the annual Halloween Jam. Expect some more updates from their trip here in the days ahead. Click here in the meantime for a little write up over on the Focalpoint site. Click here to read about a close call for Cooper & the boys in Sydney. The guys over at Tabletop Distribution in the UK have been flowing a young Liam Vance a bunch of Colony stuff for a while now & here is his latest new bike. A 2011 Sweet Tooth looking really good in all Wasabi. Many thanks to Alan Woods. Peta Shepherd continues her USA trip & reports in…read on. I can’t remember what the last thing I sent in was, but I can tell you I’ve been having a ball since then! We’ve been on the road now for about 3 weeks and it’s all been a rad and crazy experience. I got to hit up Vegas while the Dew tour was on. Which was awesome, it would be the biggest BMX contest I’ve been to and the vibe was cool. After that we drove over in to Cali. 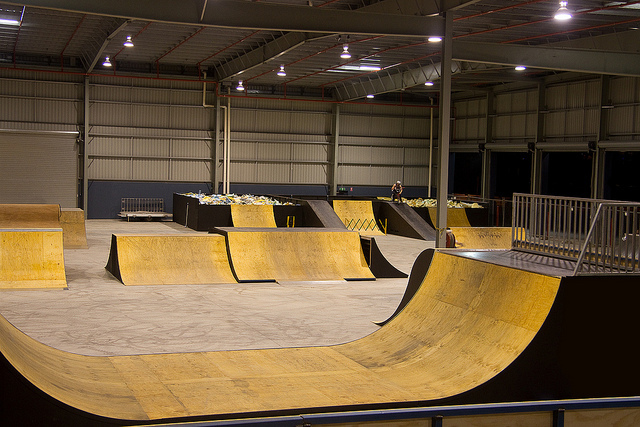 The rain caught us which was a bummer, we got the chance to ride a few sweet indoor parks. I even got the chance to shoot with Fat Tony from RideBMX. We headed up highway one after our few days in Cali to hit up Portland. The drive was long though beautiful along the coast and into the Redwood national forest. We even tried driving the van through a tree but it was just a bit to big. When we got to Portland it was cold and rainy and we had no where to stay, so we drove on to Seattle because we knew another girl rider Sam Lyons who kindly oftered us a bed at her house. Seattle had been raining a bit too, however Sam was able to get us into a cool little private barn ramp setup, which was weird to ride though very fun. The photo is from the little session we had there. It’s been a while since we’ve heard from or had much on here about Toby Mathews but the guys at GC Compound sent through a couple pics of him shredding the park down there. Looks like he is still killing it like only he can. 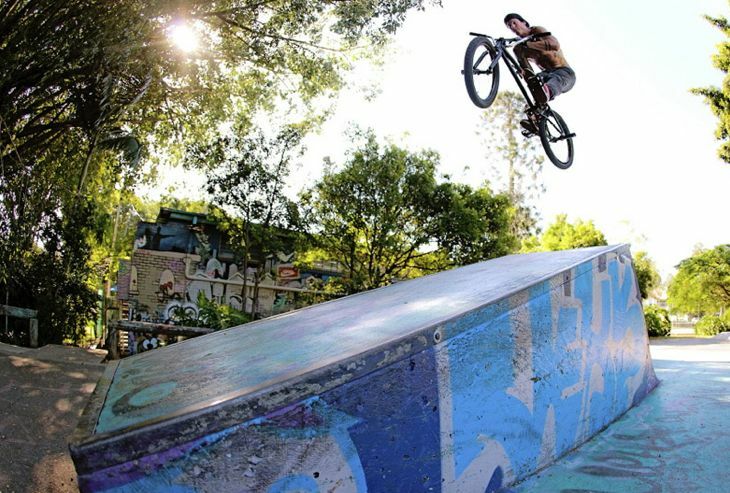 Spotted this fresh photo of Liam Zingbergs over on the Dave Rubinich site, check it larger here. 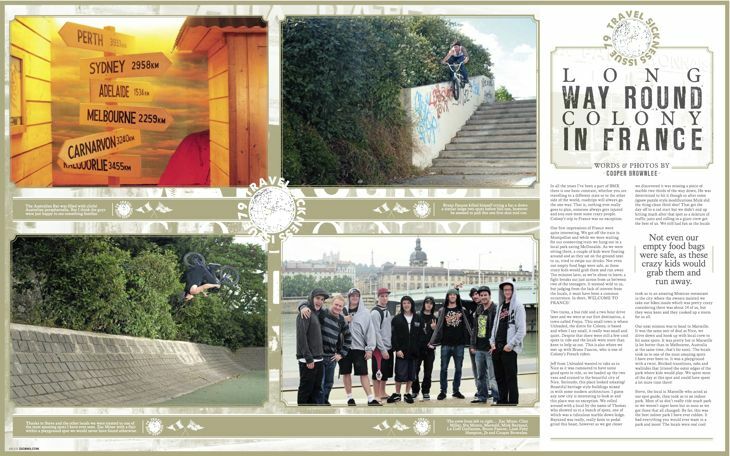 Look out for a story on our team trip to France back in June in the latest issue of Dig Magazine out now. Check it out at a bike shop or news agent near you. Click here now to see what else is in this issue. 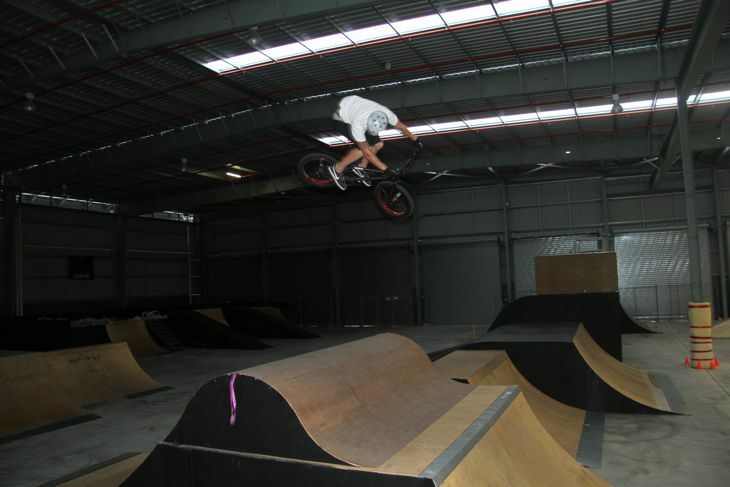 This time from the guys at Helensvale BMX on the Gold Coast. Click here to read more about Chloe’s custom Sweet Tooth now. 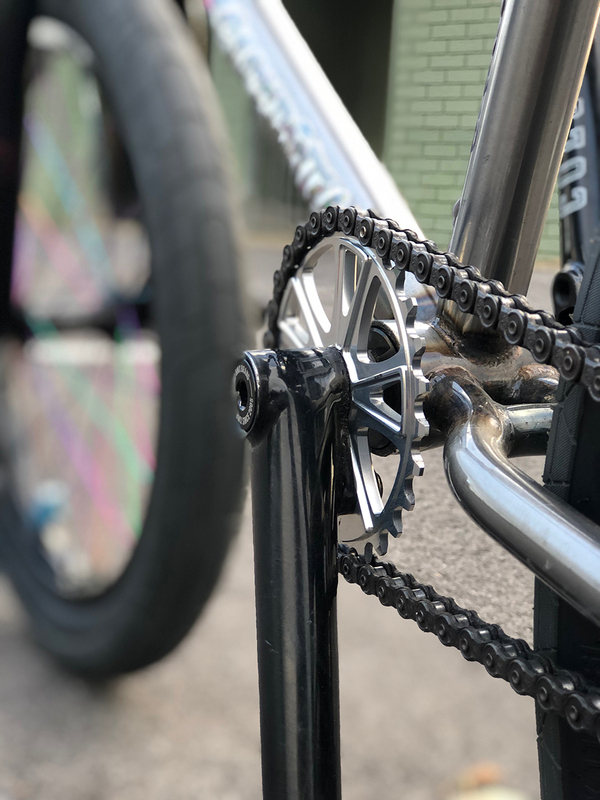 Mick recently put together a fresh new rig with the limited edition Translucent Black which is only available at Strictly BMX. It looks pretty fresh to me, with just the right amount of gold in there. I spotted this cool photo of Zac Miner on Doug Taylor’s portfolio site and thought I should share it. Zac just got back from America and is up in Brisbane for the next few days so keep an eye out for him floating about. Daylight savings at it’s best! Down here in Melbourne we have been fortunate enough to score some really nice weather the last few days. This photo is of Marnold enjoying an evening school mission that we did during the week. 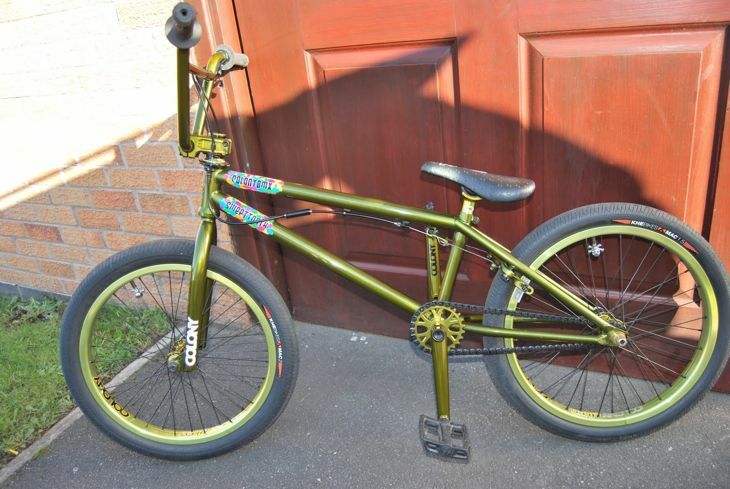 The guys over at Strictly BMX are at it again with another one off custom bike. 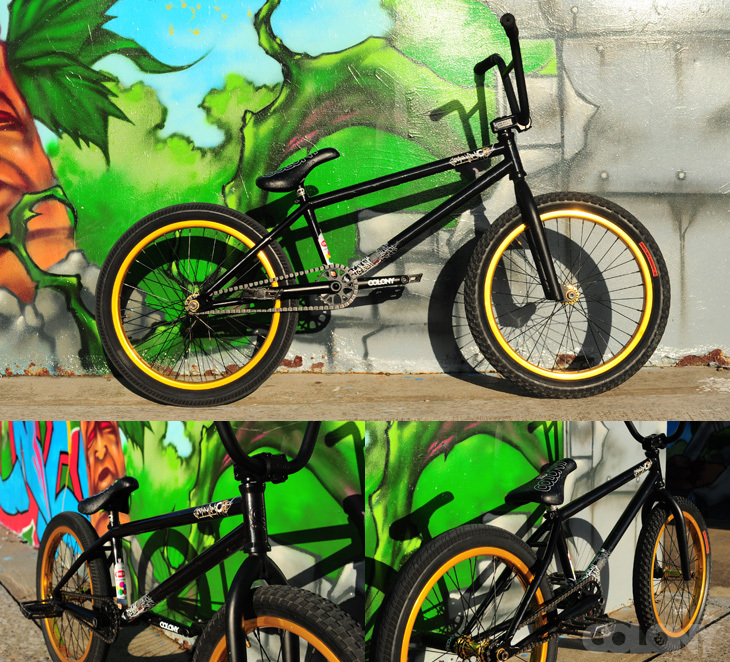 This time a Sweet Tooth Pro in Matt Black & Gold… click here to check it out. Only one available so be quick if you want to make it yours. 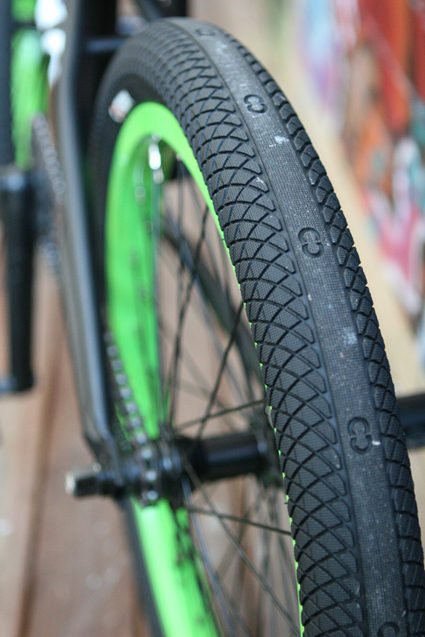 There is a review somewhat of our Agenda 1.9 tyres over on the Ride On BMX site. These tyres which will be available pre Xmas in most countries, are being ridden by Tom Stretton a few other guys on the team right now. Feedback so far has been very favourable. 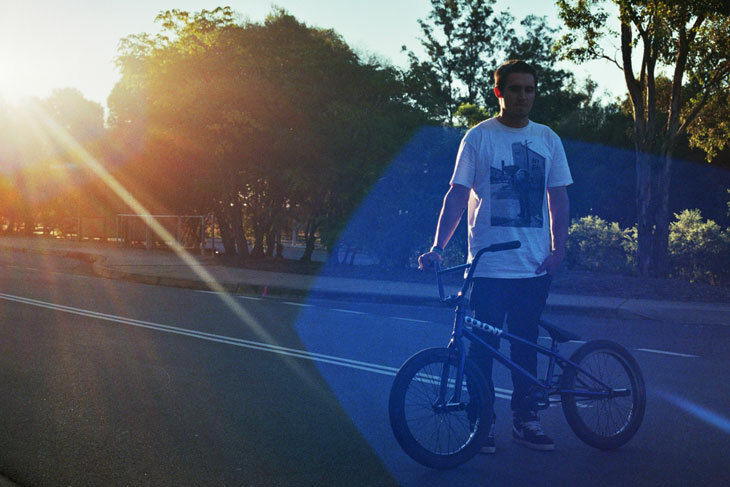 Click here to also see a bike check & some riding shots of Tom over on the Ride On site now. I don’t know how you do those hang 5 stalls Tom, you freak. So good !! Available only in Australia, is our line of current tee shirts designs. 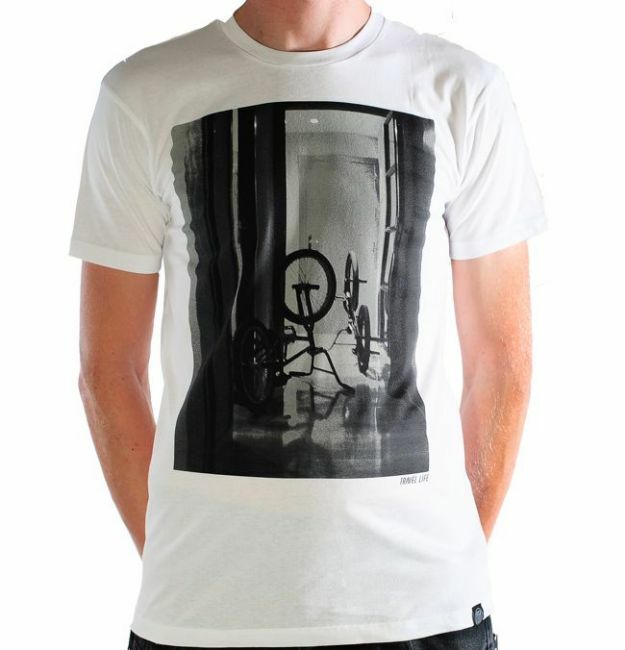 We have the Travel Life & Colony Sunset designs in both Black & White offerings. Check them out at a Colony dealer near you now. Or click here to check them all out. 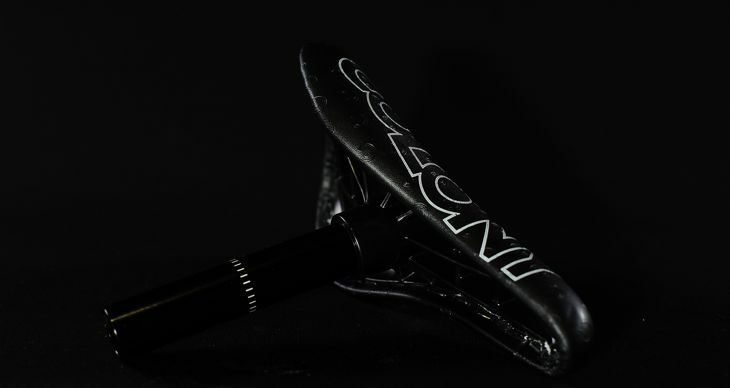 Vital BMX have a new Gear Guide video feature which show cases our new 2011 Guardian forks which are available now everywhere. Check it out below. Whilst we were in LA a few weeks ago, we hooked up with Fat Tony and he was down with doing some bike checks. 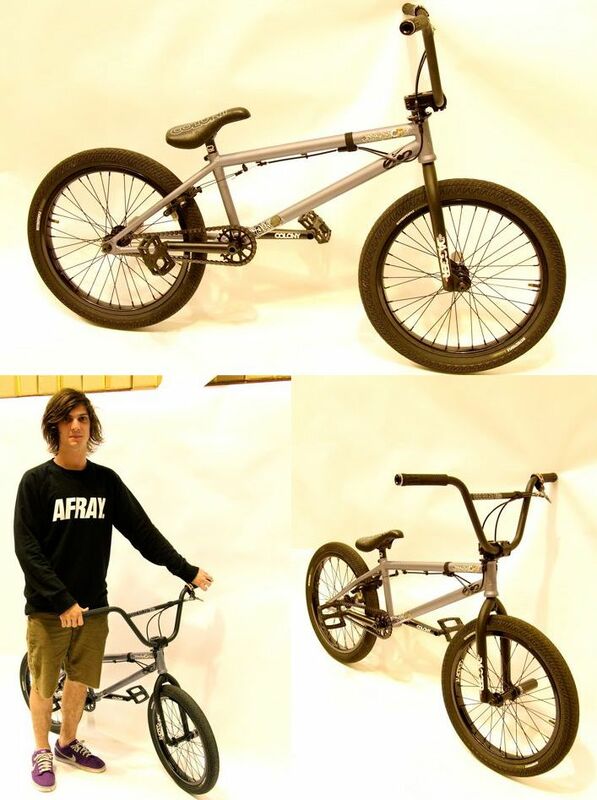 Visit Ride to see the bikes from myself, Tom Stretton, Clint Millar, Mick Bayzand and Broc Raiford. Check back soon for how you can win Clint’s bike featured in these checks !! In between it raining and the general cold weather in Brazil at the moment Henrique Castro got some nice trails photos, thanks to RuiOgawa for the photos. Hopefully you get some more sunny days mate. Tom Stretton is the king in my mind when it comes to front wheel brakeless trickery. 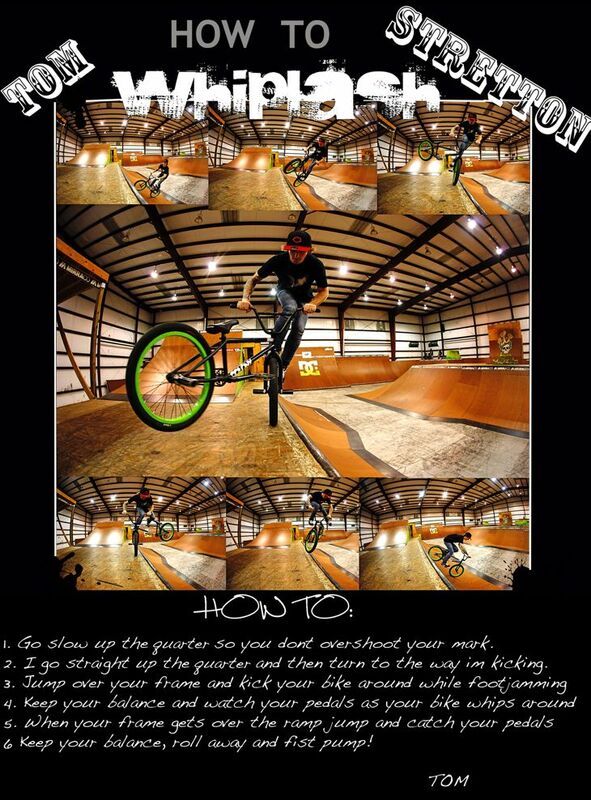 Here he shows you how to do a whiplash (or tailwhip nosepick). Now get out there kids & learn that sucker! Thanks to Ryan for the photography & layout. 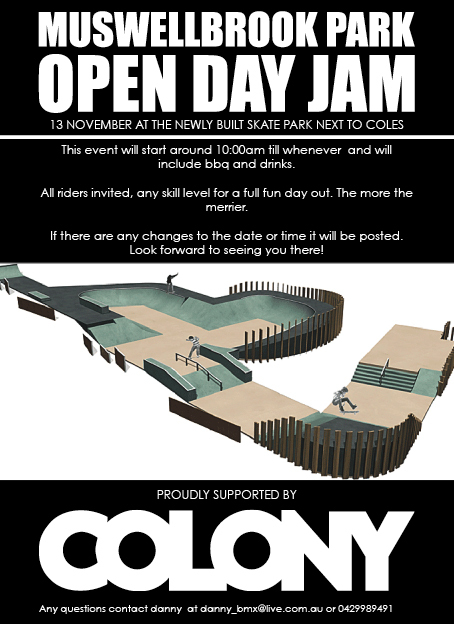 There is a jam set for November 13th down in Muswellbrook, NSW at the new park there & we are supporting it with some prizes. If you’re in the area get yourself there for a fun day riding. For more info see the flyer below. 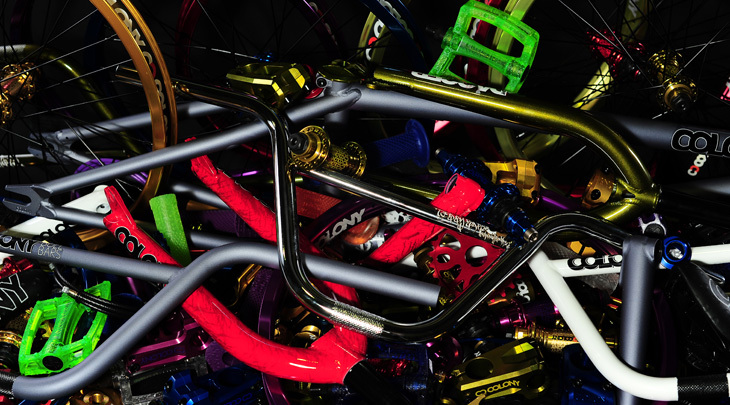 We updated our Product Guide over on Vital BMX with all the new 2011 product and colours! Check it out here. Libellule from France just put together a new 2011 Rebirth frame with Dagger forks & other Colony parts thanks to the guys at Unleaded. It looks the goods for sure. In other news, Unleaded have also started helping out Steve Magros with flow on Colony product. 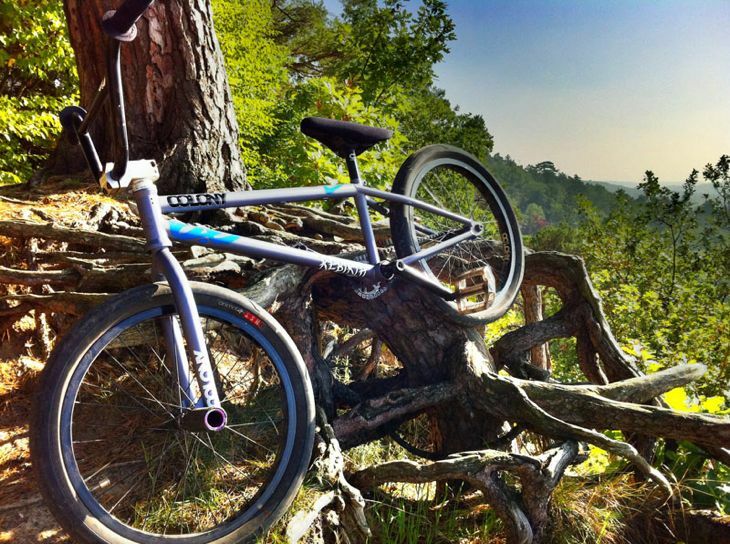 Steve is on a 2011 Teddy frame in Wasabi along with our Guardian forks, Variant stem & various other Colony parts. Word. Tom Stretton is back home now after his trip to the USA. 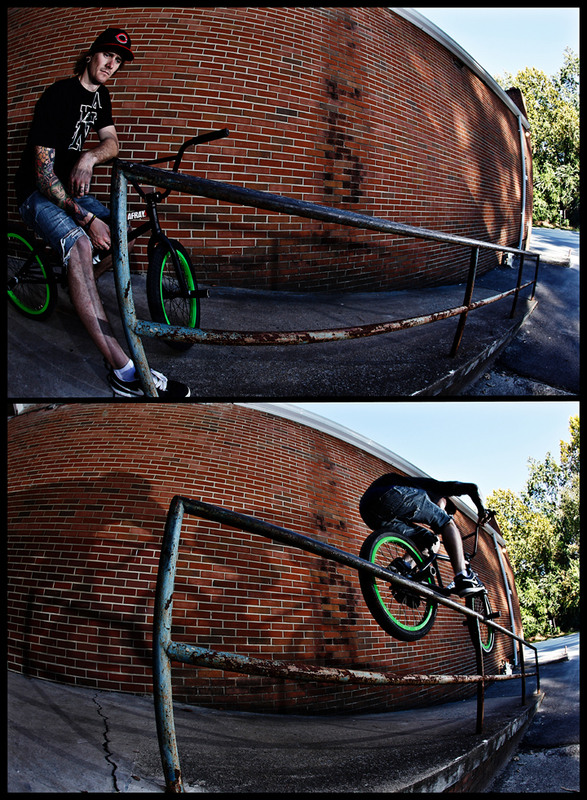 Here is a rail he did in Greenville while there. It’s good to have you back home mate. I haven’t been down there yet but I have been hearing great things about the new park down in Coomera on the Gold Coast. Looks like the guys have big plans for the park & are doing things right from the start. Click here now to check out their site for details. Get yourself down there for a session soon. Chris Courtenay is this weekend back on his his bike for the first time since his knee operation. He will be taking it easy for now but soon he will be back killing it out there aboard his new decked out 2011 Teddy frame. It’s good to have you back on the bike Chris, can’t wait to see you shredding again soon. Peta Shepherd sent in another update on her trip throughout the states… read on below. Two days ago I left Salt Lake for Las Vegas with some mates. We had the best times along the way, we camped the first night in the hills of Utah, it was freezing! On the second day we drove to Snow Canyon and did some hiking and exploring, which was really awesome in the Lava flows. Then later that afternoon, while looking for a place to camp and rallying down some dirt roads, we got the van bogged for 4 hours which was very interesting…. It’s been the best fun so far and hope it keeps coming. A while back I posted an edit on our site here from a Tim Knoll. It had some really original flatland/street moves which was amazing. Well, Tim needed a new frame a while back & he chose a Sweet Tooth for his new frame, I was stoked. Here is Tim’s latest edit & it’s got some completely original flatland/street moves on there. Check it out for sure. Some more of Ryan today, this time an interview by Brian Tunney for us all to get to know him a little more… click here to read it now. Over on the Allisports site there is a feature with a few different riders & their top 5’s. Ryan is included & you can click here to check it out now. 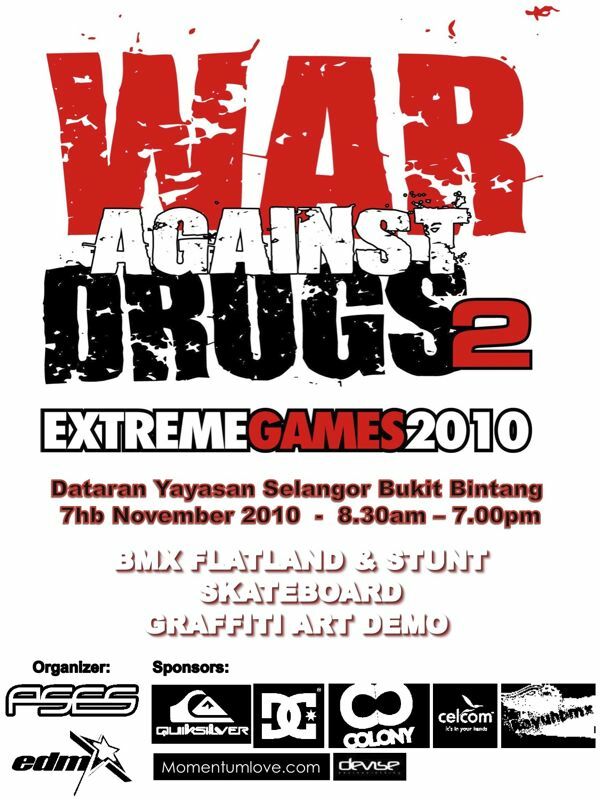 We have got behind an event in Malaysia set for November 7th which will have flatland & a street class. If you’re in the area make sure you go check it out.